JM Cellars in Woodinville to meet winery owner and winemaker John Bigelow. JM Cellars sits just up the hill from Chateau Ste. Michelle on the ‘Bramble Bump.’ John gave us a crash course in the property’s history, all the way back to when the Stimson family owned much of Woodinville. He shared the fact there was a large dairy on the valley floor (complete with photos of cows grazing on what’s now the winery property), and that he and his wife bought the property in the late 1990’s from Jan and Smitty Smith. The Smith’s had landscaped the acreage extensively, planting likely thousands of trees and shrubs to turn it into a showpiece. 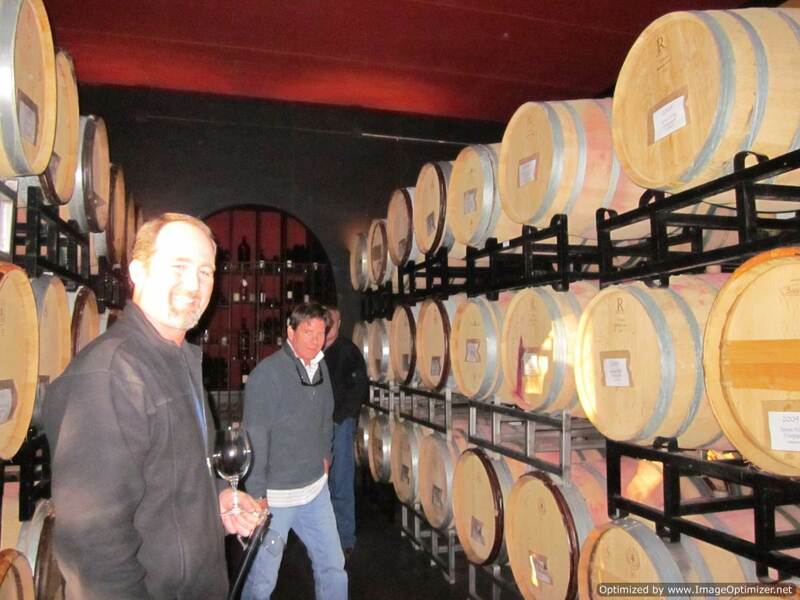 The Bigelow’s have kept much of it intact, although they have made some improvements, turning the lower floor of the house into the tasting room. Haunted by a friendly ghost. 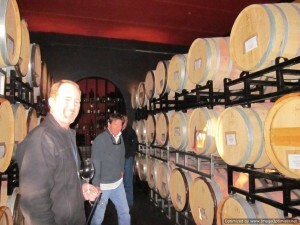 John is an engaging story teller, and we very much enjoyed learning about the winery. In fact, John told us that Jan’s ghost haunts part of the winery, and that they can hear someone walking with a cane (as Jan did when she got older) through parts of the upstairs. Luckily, she’s a friendly ghost! Behind the copper doors. 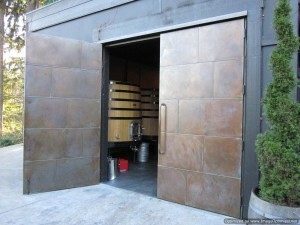 Then it was time to visit behind the custom-made copper doors, that weigh something like 700 pounds apiece. This is where the magic of winemaking happens. John is a gracious host, (as well as a talented winemaker) explaining the fascinating differences in barrels, and how different types of oak – French vs. American vs. even Russian oak, can influence the taste of the wine. 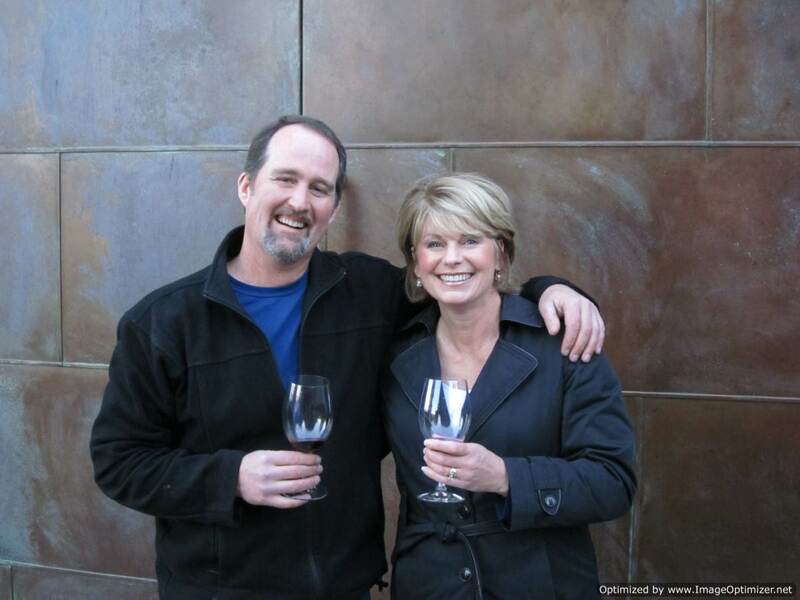 John got into winemaking at a fortuitous time in 1998, gaining access to grapes from the very top vineyards in Eastern Washington, including Boushey, Ciel du Cheval, Klipsun and Conner Lee. If you were starting a winery today, you’d be hard pressed to get such high quality grapes. The Bigelows have also planted their own vineyard, Margaret’s Vineyard named after John’s wife, Peggy, and we were lucky enough to get a barrel tasting of a reserve wine that will be released next year. Talk about delicious! We also got a barrel tasting of a Carmenere, a spicy wine with a unique peppery taste that’s often used as a blending grape. Onto the tasting room, to taste a number of wines, from red blends — the Nietos, to the Tre Fanciulli (named for their three sons) to the Chardonnay. John blends according to his own palate and what he likes, and is doing a fabulous job, as his wines consistently receive top marks from Wine Spectator and Wine Enthusiast, such as the recent 94 points awarded the 2007 Longevity, by Wine Spectator. We want to thank John for the great tour, and for sharing his expertise and passion about wine! 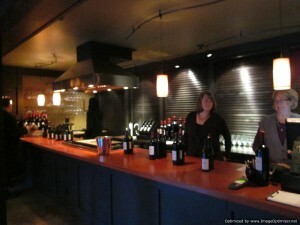 If you want to visit JM Cellars, the tasting room is open Fridays, Saturdays and Sundays from 12 to 5pm.